Scientists at the University of Waterloo have achieved a major breakthrough towards creating smart devices that do not use batteries or require charging. These battery-free objects, which consist of an IP address for internet connectivity, are called Internet of Things (IoT) devices. If an IoT device can work without a battery it diminishes maintenance costs and allows the device to be located in areas that are off the grid. A number of these IoT devices contain sensors in them to detect their environment, from light levels and a room's ambient temperature to sound and motion, but one of the biggest tasks is making these devices sustainable and battery-free. Professor Omid Abari, Postdoctoral Fellow Ju Wang and Professor Srinivasan Keshav from Waterloo's Cheriton School of Computer Science have discovered a way to hack radio frequency identification (RFID) tags, the ubiquitous squiggly ribbons of metal with a minuscule chip found in a range of objects, and provide the devices the capacity to sense the environment. It's really easy to do. First, you remove the plastic cover from the RFID tag, then cut out a small section of the tag's antenna with scissors, then attach a sensor across the cut bits of the antenna to complete the circuit. Ju Wang, Postdoctoral Fellow, Waterloo's Cheriton School of Computer Science. 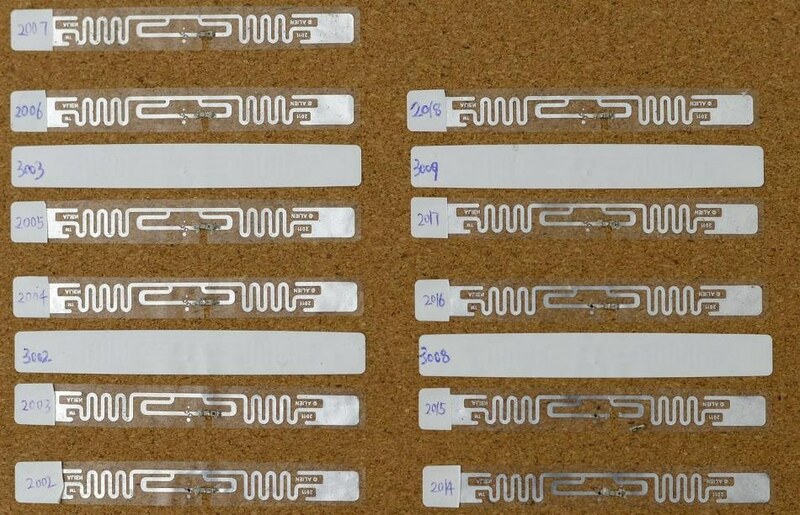 RFID tags, in their stock form, offer only identification and location. It's the hack the research team has accomplished—cutting the tag's antenna and positioning a sensing device across it—that bestows the tag the ability to sense its environment. To give eyes to a tag, the scientists hacked an RFID tag with a phototransistor, a miniature sensor that reacts to varying levels of light. By exposing the phototransistor to light, it altered the features of the RFID's antenna, which in turn resulted in a change in the signal going to the reader. They then put together an algorithm on the reader side that tracks change in the tag's signal, which is how it senses light levels. Among the most basics of hacks is incorporating a switch to an RFID tag so it can serve as a keypad that reacts to touch. “We see this as a good example of a complete software-hardware system for IoT devices,” Abari said. "We hacked simple hardware—we cut RFID tags and placed a sensor on them. Then we designed new algorithms and combined the software and hardware to enable new applications and capabilities. The research paper by Wang, Abari and Keshav titled, Challenge: RFID Hacking for Fun and Profit-ACM MobiCom, appeared in the Proceedings of the 24th Annual International Conference on Mobile Computing and Networking, October 29-November 2, 2018, New Delhi, India, 461- 70.